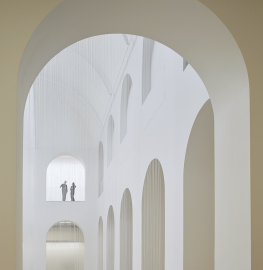 In 2009, Stanton Williams won an international competition to transform the Musée de Beaux-Arts in Nantes into a democratic and welcoming contemporary art museum open to the City and its people. 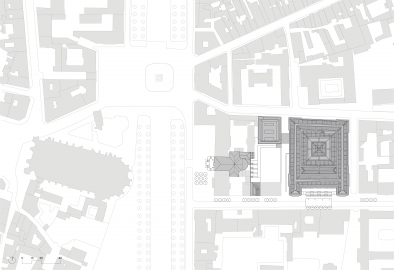 The creation of this new museum quarter incorporates several key extension buildings that link the existing 19th-century ‘Palais’ and the 17th-century Oratory Chapel which operates as a temporary art installation. 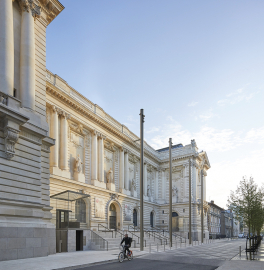 The existing historical museum building was comprehensively renovated, whilst the new extension accommodates the additional exhibition spaces for contemporary art. 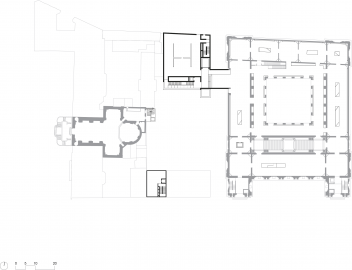 The project also includes the creation of new educational facilities, an auditorium, a library, a storage space for graphic arts collection and an external sculpture court. 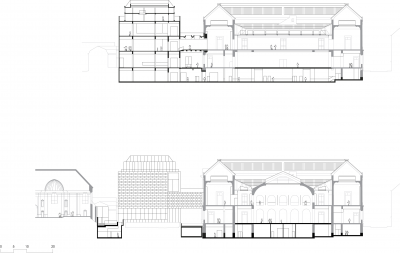 Stanton Williams renovated the existing ‘Palais’, and designed two new buildings: a new extension with galleries for contemporary art and a new archive building. A new basement was excavated under the Palais, creating teaching spaces, an auditorium, restoration and conservation workshops. Our design intends to transform the image of the quarter itself by opening up the museum to the public, and creating a coherent cultural and architectural journey that unifies disparate buildings. 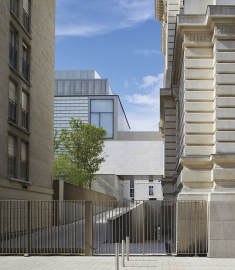 The galleries’ architectural design both serves the artworks and interacts with them. 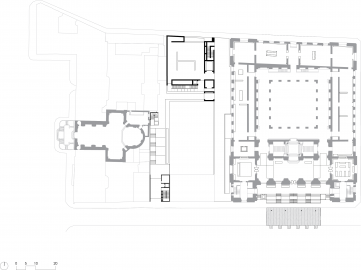 The new architecture was designed from the ‘inside – out’, in constant dialogue with the collections and spacial qualities of the existing buildings. 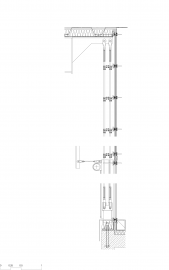 We wanted to retain the quality of light entering the museum, allowing visitors to sense the modulations of natural light and artists’ close relationship with light. 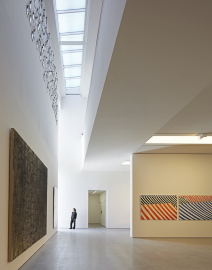 New technology allows better control of natural light within the galleries. Stanton Williams has brought a unique sense of architectural coherence to this project, through a holistic design process, which included museum layout, architecture, landscaping, and graphic identity. The new façades take their inspiration from the neighbouring Chapelle de L’Oratoire and cathedral, with their monolithic appearance through the extensive use of white Tuffeau. 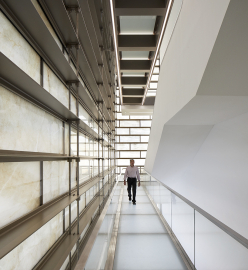 On the new building, the main façade is made of solid and translucent white marble. The translucent marble façade is suspended like a veil through a structure of prestressed cables. Excavating the entire basement level of the Palais, a true feat of engineering, has opened up new public areas such as the educational workshops, the auditorium and an exhibition room, as well as store-rooms and restoration workshops. The extension of the basement is supported by a new underpinning concrete structure that was cast in situ and left exposed, creating a monolithic, jointless and fluid, yet cohesive, tectonic entity that connects the lower parts of the building. The thick stone walls of the foundations are shown to their best advantage, supported by large concrete porticoes and plinths echoing the transformations that have taken place here below ground. High-quality materials such as oak and bronze were used to complement the character of the space, enhancing the visitor’s sensory experience.